We are giving you the list of our Pakistani charming actors who will shine and heartthrob rule on showbiz screen in 2018 with their heart striking looks and breath taking acting. Be it TV, films or both, Pakistan is equally blessed with the actors who can captivate viewers with their magnificent personality on both mediums. They are always ready to impress with their acting powers. Here we are sharing the list of actors who were a hit last year and they will prove to be a force to reckon with this year as well. Let’s check out who they are and what does this year have in store for their fans??? Sami Khan could be a Pakistani actor and model WHO has been related to the sphere of showbiz for a protracted time currently. Sami Khan was born on July 6, 1980. 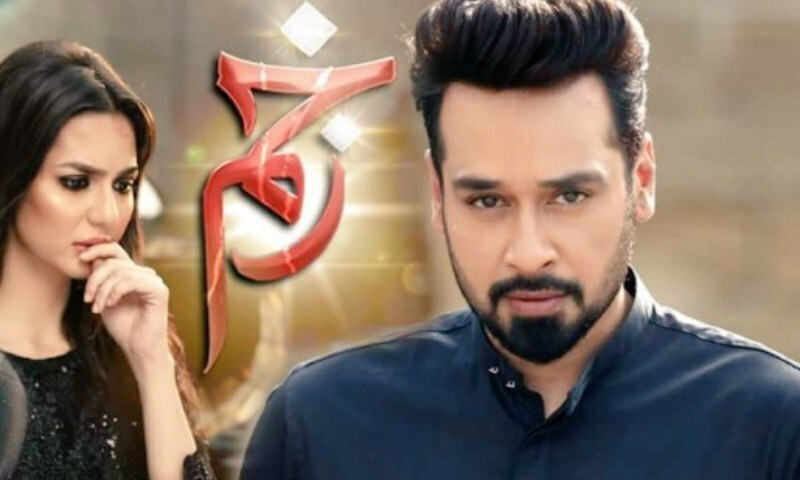 Five hit plays in one year is not a joke – Sami Khan proved to his fans that if you have the talent then being the antagonist or protagonist doesn’t matter. If you thought that people hated him for his character in Rasm-e-Duniya, he came back with Khudgharz; he proved to be the ideal boyfriend in Be Inteha but then broke hearts in Tau Dil Ka Kia Hua. This year he is all set to land on film screen with his enthralling performance in Kaaf Kangana and Pal do Pal drama. Zahid Iftikhar Ahmed is a Pakistani actor and model who started his career with hosting talk shows on television and radio but got unprecedented success when he started his acting career. He started acting from performing in Theater plays. He was born on September 20, 1984. He has emerged as one of the finest actors of the last few years – he can play the good guy, the bad guy or even the good guy who turns bad and later turns good like no one else. People were surprised to see him in Rehan Sheikh’s film "Azad". Danish is a Pakistani TV and Film Actor. He was born in Karachi and made his acting debut in the year 2005, with ‘Mystery Series’ and appeared in two of its episodes ‘Do Saal Baad’ and ‘Dracula’. Danish Taimoor makes a comeback to TV this year after staying away from the medium for 3 years in which he did films – a lot of films by Pakistani standard. After Wrong No. and Mehrunisa V Lub U, he returned to TV although two of his films are in the pipeline. Sound's good one? Fahad Mustafa is a Pakistani film and television actor, producer and host, known for hosting the game show Jeeto Pakistan, which is aired on ARY Digital. He is perhaps the only actor who can sell any brand, host the most successful game show, act in a film that is likely to be a blockbuster and stay away from TV by choice. He is Fahad Mustafa who can do no wrong since turning producer on TV.This Eid ul Adha, he will be coming to all the screens near you with two films that have been labelled blockbusters even before their release. Humayun Saeed is a Pakistani film/television actor and producer. Saeed is also a co-founder of the media production house Six Sigma Entertainment Plus which produces television drama serials and commercial movies. Dil Lagi was his comeback on TV that was followed by Punjab Nahi Jaungi that went onto become the highest-grossing Pakistani film of all time. With his upcoming sequel of Jawani Phir Nahi Ani 2, he is all set to take the competition to a whole new level – both as an actor and as a producer. Ahad Raza Mir could be a Pakistani actor WHO recently joined the Pakistani Drama business. He was born in the Asian country, however, spent most of his life in Canada. He started working as Theater Actor in Canada in 2014. He came, he saw and he conquered – that’s Ahad Raza Mir for you. The youngster has been flying high since his debut last year and is all set to raise the bar higher in 2018 with improved performance. Not only is he making his father Asif Raza Mir proud but also carrying on the legacy of his grandfather the great director Raza Mir. Faysal Qureshi could be a Pakistani actor and tv host. He was born in an urban centre, Asian country to notable film role player Afshan Qureshi. For the last 25 years, Faysal Qureshi has been coming to your TV screens in different avatars. He doesn’t show any sign of slowing down as well – every morning he does a morning show followed by his drama assignments that always generate the best ratings. Watch out for Khalish where he has joined hands with his Bashar Momin director to create another gem for his fans. Ahsan Khan may be a British-Pakistani film and tv actor, host and entertainer. He first began acting in 1998. He appeared in the films Nikah, Billi, Love in Hong Kong Ghar Kab Aao Gay, Ishq Khuda, Dil Mera Dharkan Teri and later moved on to television. He was the child molester in Udaari, the handsome hunk in Chupan Chupai and has lent his voice for a kid in the upcoming animated film Tick Tock. To top it all, he will also be playing a double role in Ehteshamuddin’s upcoming TV play Aangan where he will be paired opposite Sonya Hussyn as well as Mawra Hocane. Feroze Khan is a Pakistani actor, model and former video jockey. Born in Quetta, he began his career as a VJ on ARY Musik and then became a model. He created his debut as a tv actor in the 2014 tv series, Chup Raho. Feroze Khan started Khaani as the worst possible guy on the planet but is now being hailed as the most loved person. He will reteam with director Anjum Shehzad and actress Sana Javed for Romeo Weds Heer where the Khaani duo will create a different kind of magic. Mikaal Zulfiqar is a Pakistani actor and former model. known for his role as Salman in Shehr-e-Zaat and as Nabeel in Mohabbat Subh Ka Sitara Hai. Mikaal Zulfiqar is all set to make his proper film debut in Pakistan with "Cake". Although his role isn’t that of the protagonist, his appearance in the trailer will make you fall in love with him. Add his ongoing TV projects and he is bound to have a great year that will be followed by Sher Dil in 2019. Fawad Afzal Khan is a Pakistani heartthrob actor, model and singer who appears in Pakistani films, Bollywood films and Pakistani television dramas. Khan has established himself as a critically and commercially acclaimed actor is not solely the Pakistani tv and screenland however across the border in India likewise. Khan rose to prominence in the Pakistani movie Khuda Kay Liye. This year Fawad Khan has been readying himself lately for his upcoming venture with none other than Mahira Khan and Hamza Ali Abbasi for Bilal Lahsari-helmed Maula Jatt 2. Ali Mohammad Zafar is a Pakistani singer-songwriter, model, actor and painter. Zafar started out on Pakistani TV before becoming a popular musician. The charming actor made his film debut in Pakistan in 2007. Each year he comes up with a PSL anthem but this time, the teaser of his film Teefa In Trouble will be shown ahead of the opening ceremony. Directed by Ahsan Rahim and featuring Javed Sheikh and Maya Ali, Ali Zafar is all set to heat up the competition this year. Hamza Ali Abbasi is a Pakistani theatre, film and television actor, model and director. He is understood for his roles as Afzal in the drama serial Pyarey Afzal, and as Salahuddin within the drama serial Mann Mayal. He is also famous among public due to his open views on political scenario of Pakistan. The CSP officer turned actor and model will stun the public with his charismatic and powerful performances in movies " Parwaz hy Janoon" and "Mola Jutt 2". Syed Jibran is a Pakistani actor and model. He started his career with Pakistan Television Network. His charming looks, sound acting and excellent craft landed him strong roles one after another. A doctor by profession, a restauranteur by accident and an actor by choice, Syed Jibran needs no introduction when it comes to TV plays. He can play the ideal boyfriend, the evil brother, the villainous husband as well as the good son (adopted son if you talk about Khudgharz) with ease. This year he also has a couple of projects in his armoury that might surprise the competition. So who is ready to get stunned by our showbiz stars?? ?